Stop Israeli destruction and forcible displacement of the Palestinian community of Beit Safafa in occupied East Jerusalem! 10 February 2014 The European Coordinatin of Commmittees and Associations for Palestine. 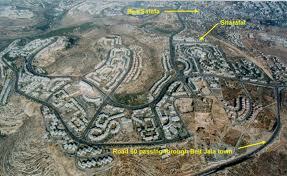 The Israeli Municipality of Jerusalem and the Ministry of Transport are currently undertaking large-scale construction work in Beit Safafa, occupied East Jerusalem, in order to complete a highway (“Begin Highway”) that will serve the expansion of Israel’s illegal settlements in and around the southern part of occupied East Jerusalem and expedite the annexation de facto of the Gush Etzion settlement bloc. The occupied Palestinian population of Beit Safafa does not benefit from this highway which is being imposed on them against their will. Although the highway is being built on land confiscated in the past from members of the community and passes through its center, no access road onto the highway will be available for the local Palestinian residents. Moreover, the highway is causing grave losses and damages to individuals and the community of Beit Safafa. On Sunday, 26 January 2014, the Israeli Supreme Court sanctioned completion of the illegal section of the “Begin Highway” that cuts through the Palestinian community. 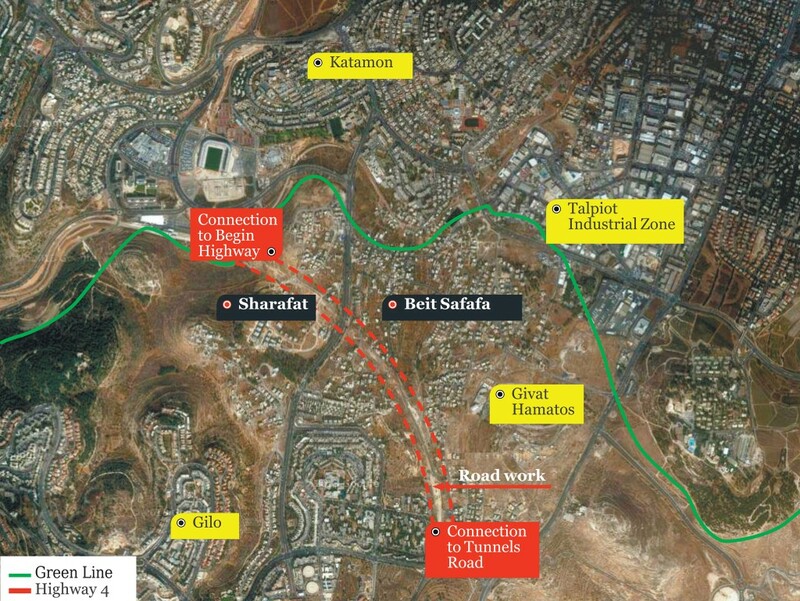 Whereas, earlier on, the court had demanded substantive remedies to mitigate the damage caused for the inhabitants of Beit Safafa, it decided on Sunday that the Israeli Municipality of Jerusalem, the Ministry of Transport and the Moriah Development Company may now complete the six-lane extension without modification. The court ruled, however, that a new detailed plan will be required to advance work on the 10-lane interchange that will connect the highway to Road 60 (Tunnel Road) leading to the Gush Etzion settlement bloc in the occupied West Bank. Local councils, municipalities and civil society to boycott the Israeli Municipality of Jerusalem until it cease all illegal settlement activity in occupied Palestinian Jerusalem. ensure that no international recognition is granted to the unlawful situation resulting from the illegal Israeli settlement enterprise of which this highway is part, and no public or private funds or business activities contribute to the construction of the illegal highway.